PO 1/c Roy Jack Smith, son of Mrs. T. E. Smith, graduated from Frederick High School; husband of the former Frances Dotson. Entered Seabees in march, 1943, trained in Camp Peary, Va., Camp Endicott, R. I., Camp Parks, Cal. 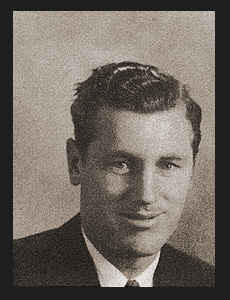 ; went overseas in Sept., 1943; served in New Guinea, the Philippines; was discharged in Oct., 1945. Awarded Asiatic Pacific Ribbon, Philippine Lib. Ribbon with one Battle Star.